As technology continues to rapidly evolve, artificial intelligence has manifested itself as a driving force that will shape the business landscape of various industries. 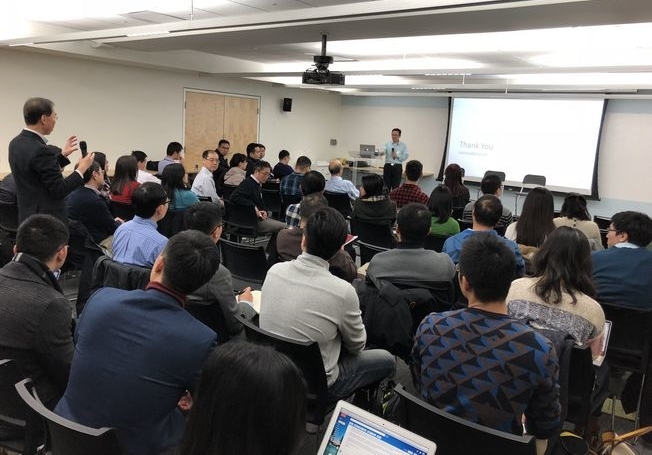 To address this widely-discussed topic, NECINA partnered with Liaoyuan to host an event for those interested in learning more about this developing subject. Highlights of the conference include keynote speaker, Coach Wei who illustrated his journey as a migrant along with other migrant colleagues he encountered and how they inspired him. He then transitioned into the assertion of AI being a part of the Fourth Industrial Revolution wave and what opportunities and challenges lie ahead. Royal Wang, the second keynote speaker introduced his company, Sunny Crown, and their involvement with deep reinforcement learning. Lunch and networking were followed by a series of panel discussions featuring HR & career development and AI in Healthcare and Finance. Each panelist presented for 10 minutes before proceeding into the Q & A session. The inquisitive minds of the audience raised questions on matters such as the importance of work experience regardless of where it came from, along with a range of other inquiries related to the topics of discussion. Overall, the event provided insight on this pertinent and emerging subject leaving many attendees with a better comprehension of AI.